Fred Chandler relishes a good musical challenge. It is why he’s seemingly always working on the craft — whether it be playing in solo and band shows, tinkering with a new instrument, or laying down new tracks in a recording studio. Sometimes, when he wakes up, he has locked, bloody fingers and a hoarse voice — following a busy week of performances. His creativity, however, is never the worse for wear. “If my imagination gets burnt out, then you may as well just throw me to the coroner, because, that’s the most enduring part,” Chandler said. Music means just about everything to the 58-year-old Lutz resident. 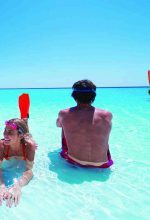 He’s been playing guitar and writing songs for more than 40 years, dating back to when he was living in Bennington, Vermont and Saratoga Springs, New York. And, he has no plans of stopping anytime soon. “I’ll probably be like Tiny Tim — die twice doing your show,” Chandler jokingly says, referencing the multiple heart attacks the well-known ukulele player suffered during live performances that led to his passing in 1996. 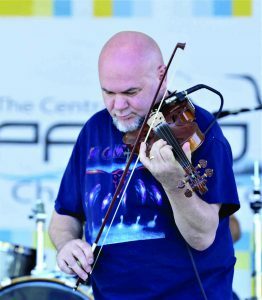 Since moving to Florida 17 years ago, Chandler has become a familiar name in the local music scene— primarily as a rock-and-roll guitar player who’s also gained popularity as a violinist. He regularly performs at venues all throughout Lutz and Land O’ Lakes, such as Ukulele Brand’s, Craft Life Brewing, Whiskey Willy’s and In the Loop Brewing. He also hosts a weekly open mic night each Wednesday at Uncle Fats 2, in Tampa. 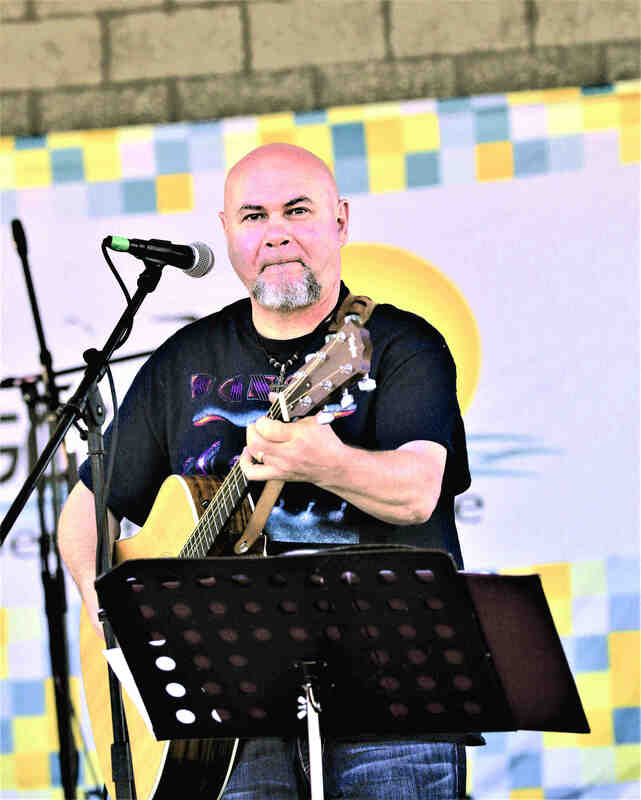 Over the years, he has opened for such acts as Foreigner, Blake Shelton, Willie Nelson, Blue Oyster Cult, Phish, and many others. Career highlights include working on stage with Buddy Cage, the pedal-steel player for the country rock band New Riders of the Purple Sage; playing violin for the Woodstock 25th Reunion in New York’s Catskill Mountains; and, performing on stage at Nashville’s famous 3rd & Lindsley venue. Now a member of two bands — Magnum Opus and The Band 4X — Chandler can be seen at venues throughout the greater Tampa Bay area, including Jannus Live and Skipper’s Smokehouse. And, they play everywhere in between Englewood and Crystal River. Chandler, pictured far left, is the bandleader of The Band 4X, one of six Florida-based bands invited to compete in the Battle of the Bands at Harley Davidson New Port Richey on Sept. 29. 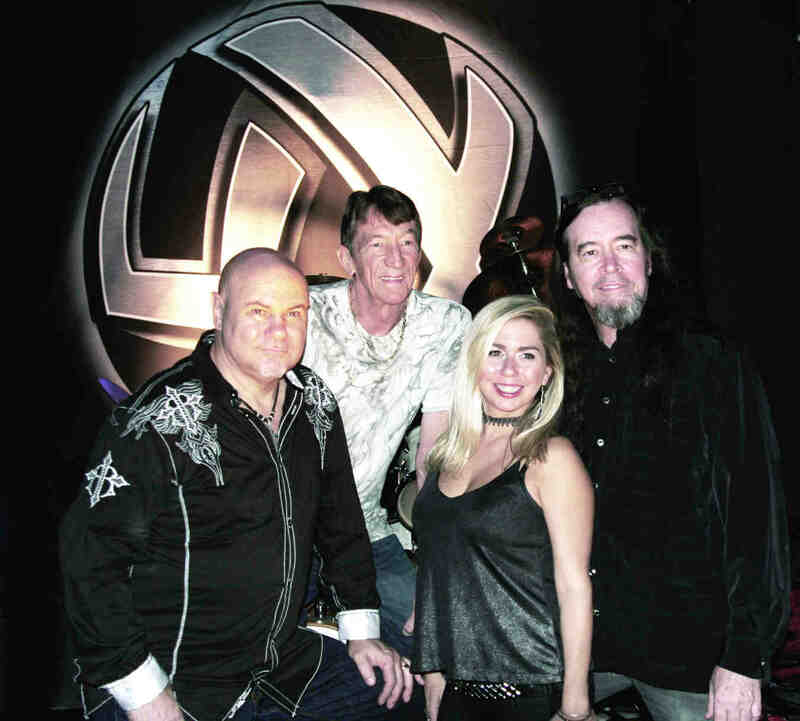 Other 4X band members pictured are Kevin McNary, Leah Ordetx and Doug Cecil. Chandler’s groups perform a wide range of original tunes, as well as covers of hit classic and alternative rock songs, plus some modern pop. Basically, their repertoire includes everything from Kansas to Queen to 21 Pilots. Often, he performs five or six gigs a week, and no two shows are alike, Chandler said. He said he tries to put a twist on each performance, with his improvisational skills and deep catalog of songs. “I like to keep it fresh. That’s why I constantly learn new material,” the musician explained. “I’m not one to just learn a solo from a record and play it at you. I want to play to you. I want you to go, ‘Wow, he was totally on that night. He had something going on.’ The people that come to see our shows get that because they know we’re all just going to kind of play from the hip, from the heart a bit and change it up,” he said. Chandler’s knack for learning a wide array of instruments has also made him a local fixture. In fact, it takes two hands to list them all —viola, cello, mandolin, dobro, lap steel, banjo, bass, ukulele and most recently, the saxophone. “If I own it, I can play it, at least to some degree,” Chandler said. A rock-and-roll guitarist by trade, Lutz’s Fred Chandler has also gained local popularity as a violinist. In total, he plays about a dozen other instruments. Chandler also takes pride in his lyrics and songwriting. His subject matter spans everything from love to nature. Meanwhile, Chandler’s next big performance is happening later this month. On Sept. 29, The Band 4X will compete in the Battle of the Bands at Harley Davidson New Port Richey. It was one of just six bands to earn an invitation. The winner goes on to perform at the Cotee River Bike Fest in October. For information on Chandler’s music and future shows, visit FredChandlerMusic.com.